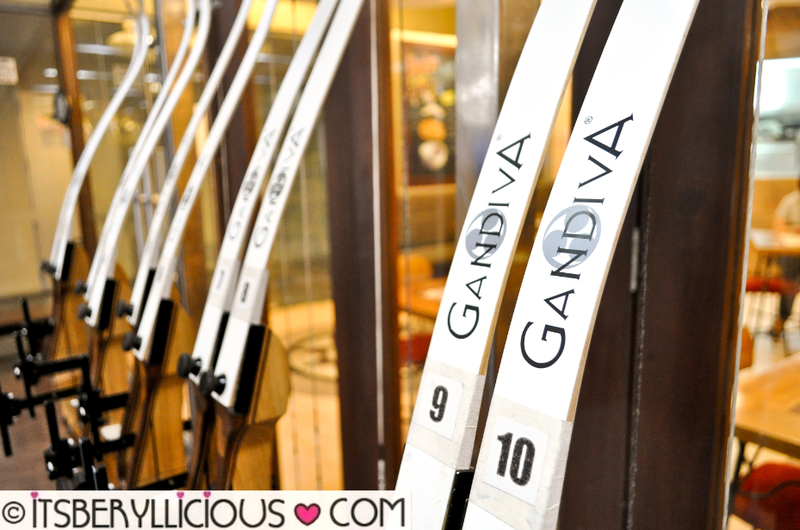 Gandiva first opened its doors at the SM Mall of Asia way back in 2009, with the hopes of popularizing archery as a sport, and offer an alternative hobby and one-of-a-kind activity to all sports enthusiasts out there. Long before Robin Hood, Legolas, Merida, Hawk Eye and Katniss Everdeen, there was Arjuna, the hero of the ancient Hindu epic poem Mahabharata, who possesses the mythical bow Gandiva. 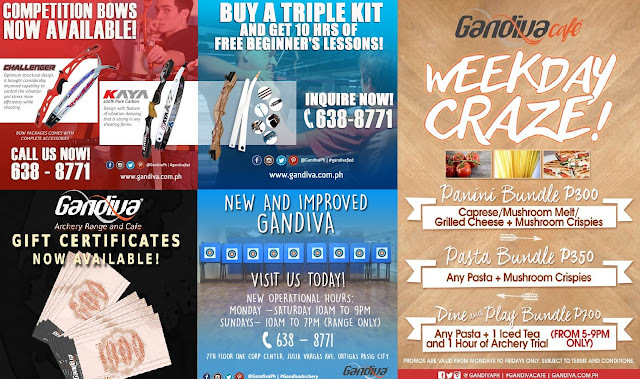 With the success and craze of archery films in the country, Filipinos learned to embrace the unique sport even more, and consequently supported Gandiva on its mission of becoming a one-stop-shop for fitness, focus, and fun. Gandiva recently relaunched its products and services at their new home in One Corporate Center in Pasig by introducing a two-fold transformation- an archery range in one side, and a vegetarian cafe on another. Thus the name Gandiva Archery Range and Cafe. Stepping into the range gives a feeling of bravery and sense of competitiveness. We put our game face on as we were given 1 hour to enjoy the facilities, and to channel our inner Hawk Eye and Katniss Everdeen. Before anything else, an indemnity form. But don't worry, they have safety measures and proper gears to avoid accidents or any kind of injuries. 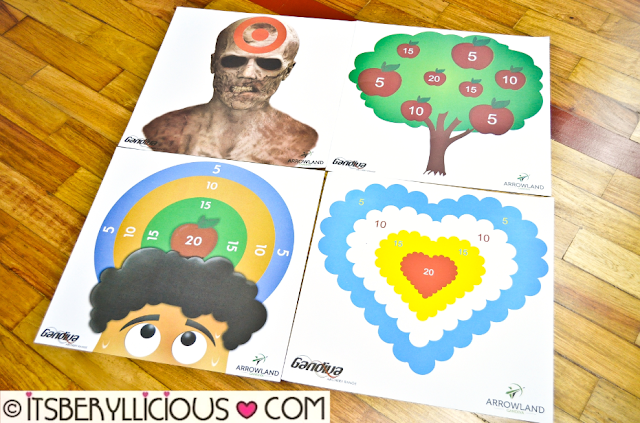 A one-hour session at Gandiva includes bow and arrow rental, instructor, and 1 target paper. One may think that 1-hr is not enough to fully enjoy the sport, but believe me, it was more than enough for us. Each player is given five arrows to use on every set, while the trainer gives the signal as to when to aim and release. Once finished, you must make sure everyone is done shooting before you can retrieve your arrows. The instructor will also give a signal for this to avoid hurting other players. No worries for first time players as the instructors will really guide you through everything and assist you along the way. From the proper handling of bows and arrows, to the right posture and aiming techniques. Not bad for a first-timer. Although I wasn't able to hit the bulls-eye (10points), my goal was just to make sure I hit the yellow mark. Will definitely go back and try to beat my first record. Here we are showing-off our performance in archery. I guess the odds were not too much in our favor. Other target paper designs are also available aside from the classic target image. *rates are inclusive of range fees, archery equipment and safety gear rental, target face, and assistance from pro instructors. Gandiva also offers membership packages with a one-time fee, valid for one year. Members will be able to enjoy perks such as 15 hours of range use, 10 free target faces, discounted range fee beyond the 15 hrs, discounted trainer's fee, discounts on equipment and services, equipment storage and many more! The membership costs P5,000 and is inclusive of membership card, Gandiva shirt and Waway cap. Gandiva Cafe is the second phase of Gandiva's transformation, which features healthy and delicious vegetarian recipes and bestsellers. Dining in at Gandiva Cafe is a great way to unwind and re-energize after a tiring but fun fitness activity at the archery range. Rehydrate with a glass of their refreshing Cucumber Cooler (P85). 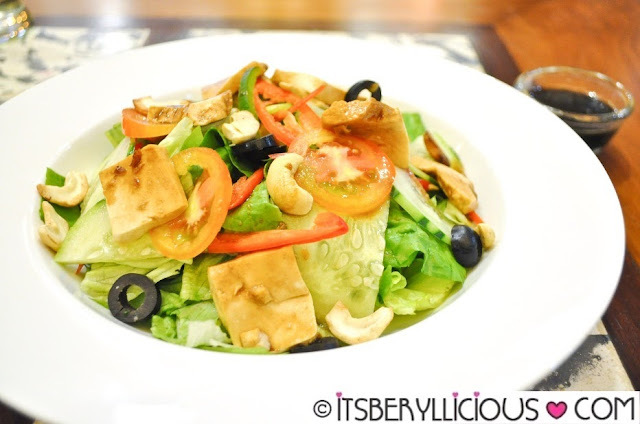 Fuel-up with a healthy plate of their Insalata Romano (P185)- crisp greens, olives, bell peppers, marinated tofu squares, cucumber, tomatoes, cashew nuts in balsamic vinaigrette. 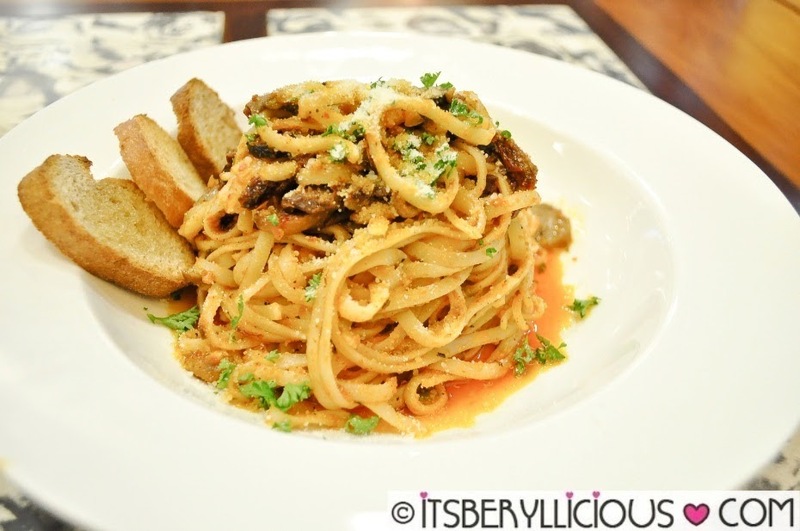 But what really impressed us during our visit was Gandiva's Spicy Puttanesca (P245)- linguini pasta with olives, capers, mushrooms, sundried tomatoes, and garlic tossed in olive oil. And this 12-inch Pizza Margherita (P295)- an ultimately thin-crust pizza bursting with flavors of pomodoro, tomatoes, spinach pesto, basil and mozzarella. Simplicity at its best! More than the exciting and one-of-a-kind experience at Gandiva Archery Range, Gandiva Cafe also deserves recognition for its delicious and interesting vegetarian dishes that are far from dull and boring. Gandiva Cafe also revealed their new menu which includes some of the cafe's bestsellers such as the Vegetarian Sisig, and brand new creations to provide a palatable vegetarian experience. Gandiva Cafe highly recommend their Tofu Bolognese, White Cheese Pesto, and their new and improved Gandiva Burger. Gandiva Archery Range and Cafe surely has a lot to offer to all their customers- from fun and fulfilling archery lessons, to outdoor archery set-up for events, team building, and parties.